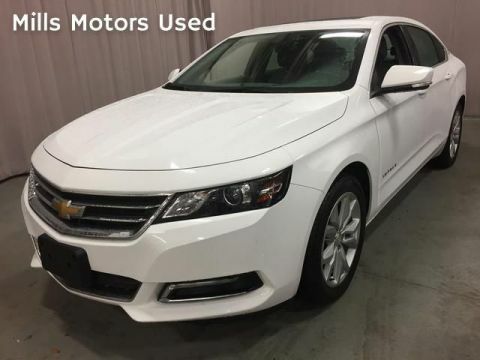 * REMOTE VEHICLE START * BACK-UP CAMERA * POWER DRIVER SEAT * CRUISE CONTROL * HEATED FRONT SEATS * PUSH BUTTON START * 18-INCH WHEELS * HEATED STEERING WHEEL * LEATHER SEATS * TIRE PRESSURE MONITOR * ONSTAR 4G LTE WI-FI HOTSPOT * BLUETOOTH * STEERING WHEEL AUDIO CONTROLS * REAR SPOILER * SUNROOF * USB & AUX INPUT * APPLE CARPLAY AND ANDROID AUTO * AUTO-DIMMING ISRV MIRROR * This 2018 Chevrolet Impala LT w/ 1LT has less than 23,500 kms and is in like-new condition! 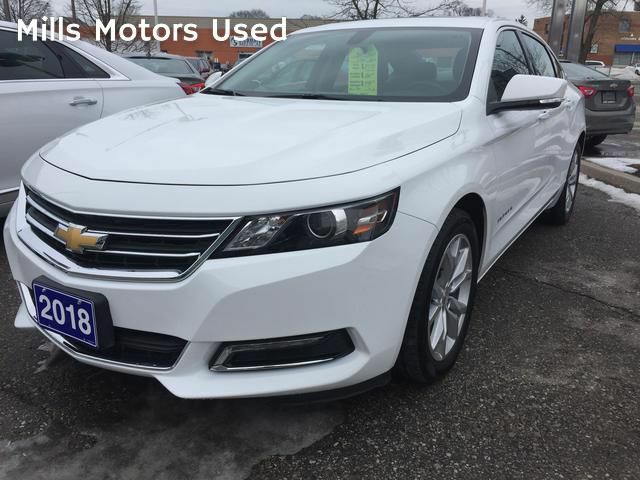 The Chevrolet Impala's design brings together both comfort and convenience. CARFAX shows this was a previous daily rental and an out of province registration. Vehicle comes equipped with the following features: Bluetooth, 4G LTE WIFI HotSpot, push-button start, remote start, dual zone climate control, auto dimming ISRV mirror, heated steering wheel, heated front seats, cruise control, rear vision camera, tire pressure monitor, sunroof, colour touch screen, apple carplay and android auto, remote keyless entry, remote start, 18” aluminum wheels, steering wheel audio controls, ice-cold A/C and power windows locks and mirrors! The exterior of this Impala looks as if it just came off the lot. The body free from major scratches and damage. This summit white paint color looks incredible. Mechanically, this Impala is in flawless condition. The engine starts quietly, and the transmission shifts seamlessly. 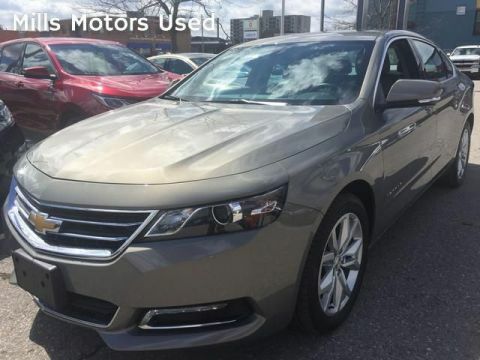 This Chevrolet Impala is powered by a 3.6L V6 with a 6-speed automatic transmission.